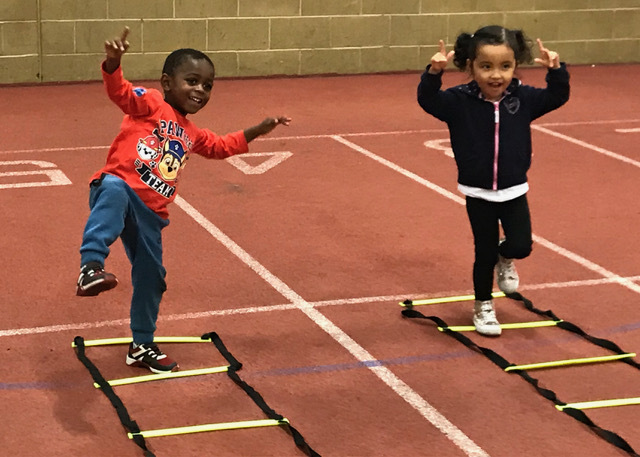 Anyone with a toddler will tell you how energetic they are – now, little ones can put all that vim and vigour to good use at Track Academy by Connie Henry in Willesden. Youngsters from 18 months to four years are being invited to take part in taster sessions at the Willesden Sports Centre in Donnington Road on Wednesday, January 10. This is ahead of a new season of weekly activities starting on February 21. Track Academy founder Connie Henry, herself mother to three-year-old Christian, explained: “The idea is to nurture toddlers’ abilities both physically and developmentally, combining the academy’s sporting expertise with our education and mentoring programme. Sessions will be led by Track Academy’s experienced athletics coaches, and co-ordinated by a team of sports enthusiasts. The taster classes on January 10 are split into three age groups; 18 to 24 months from 10.15am to 10.45am, 24 to 36 months from 11am to 11.30am and three to four years from 11.45am to 12.15pm. Costing £102, the full 12 week programme will start at 10am for two year olds and at 11am for three to four year olds. A nursery/childminder discount of 20 per cent will be applied where there are more than two children attending. The children will receive a certificate at the end of the 12 weeks to mark their achievement. Track Academy is a registered charity which uses sport for social change among young people from disadvantaged backgrounds. Based at the Willesden Sports Centre in Donnington Road, academy members are given inspiration to succeed both on and off the track. To sign up for the toddler programme or to find out more, email toddlers@trackacademy.co.uk or call 07956 715052.